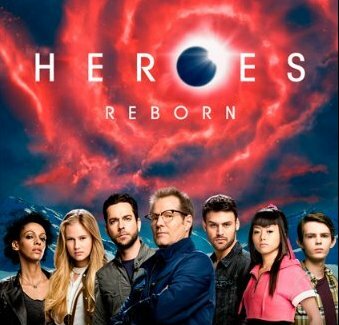 After the series premiere of Heroes Reborn I had hope for a new and revitalized franchise. And to be fair, if you like the genre of mutants and super heroes fighting the good fight against the odds, then you probably don't mind this new rendition of the series. But if you are of a neutral or critical mind, you might have issues with this franchise sequel. Let's talk about Miko Otomo (Kiki Sukezane), the digital Samurai. I don't know who is choreographing her fight scenes but I think they hired some middle-school kid. Noah (Jack Coleman) is just sending in a hollow performance pointing guns and delivering mediocre one-liners. All he does is go from one plot point to the other, somehow continually making it through one trouble point to the next, despite always being outgunned, outnumbered or trapped in situations that would have ended any other character or TV series. Have you noticed the 'outer space' melody that is in the background of almost every scene in the show. Or have you caught the average, run of the mill effects in the show. What I do like is Luke's (Zachary Levi) journey. He started out being some guy who wanted to kill all EVOs. (Evolved humans or mutants) Then suddenly, out of nowhere, he mutated into an EVO and has had a complete change of heart after the love of his life turns her back on him when he evolves. Everything else seems mediocre in the show but I am going to follow it through to the end. No matter how much it hurts! Though now that the digital girl with no ninja skills has now helped free Hiro Nakamura (Masi Oka), I'm guessing this is the nexus of the season and things will pick up. Right? Maybe?